There is only one country in the world which has so many natural wonders and that’s Iceland. 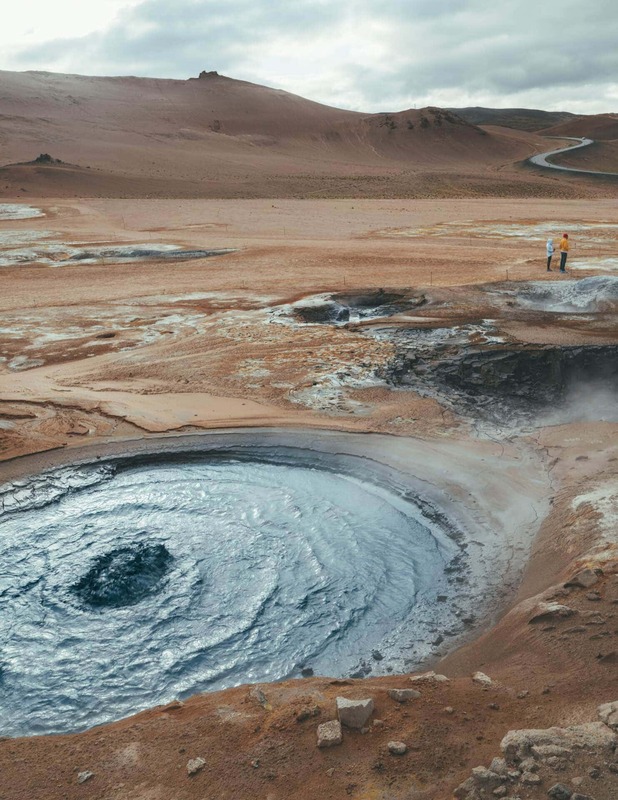 The rugged Mars-like landscape filled with natural hot springs, powerful waterfalls, volcanoes, and glaciers has become immensely popular over the last few years and that is for a very good reason. 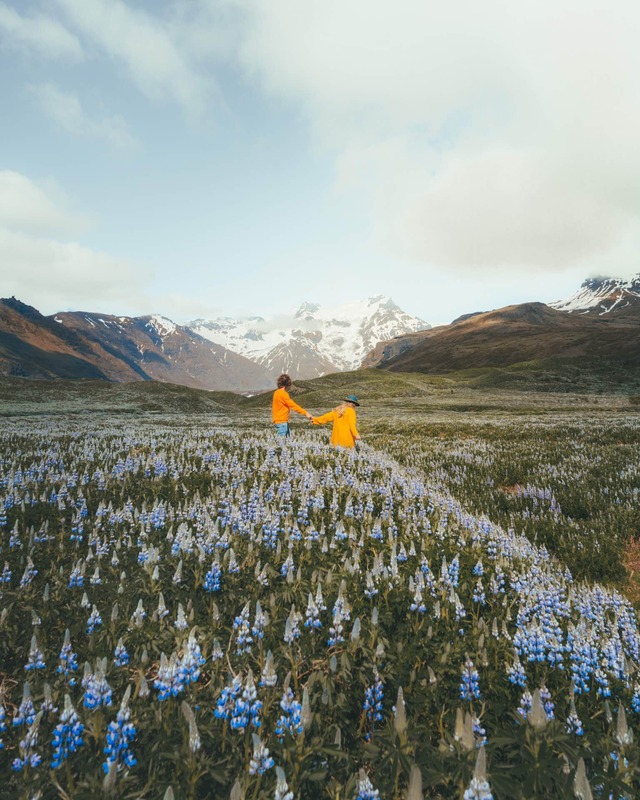 Iceland is one of a kind and easy to travel. 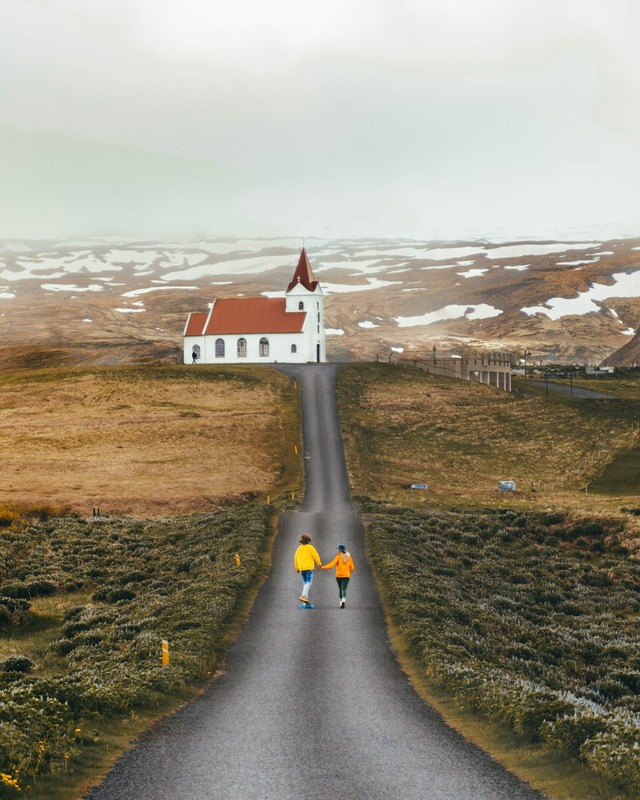 This 2-week Iceland Route Guide takes you to around Iceland’s Ring Road and loads of hidden gems! In a country with more sheep than citizens, you can’t drive faster than 90 km/h on the main roads. 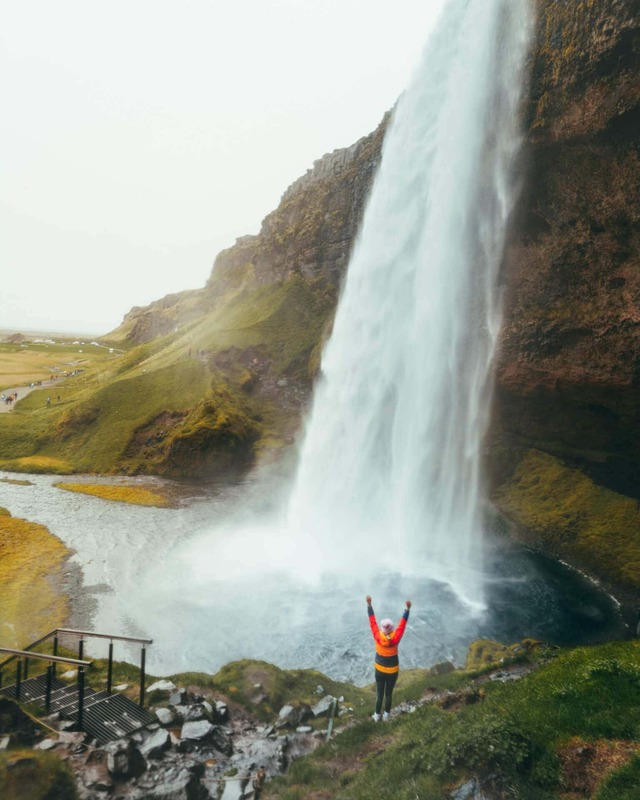 A 2-week trip is the ideal amount of days to experience most of Iceland but you can do this same trip in 10 days if you’d like. During winter always keep an eye on road.is to check if the roads aren’t closed because of the snow. Having fewer days? 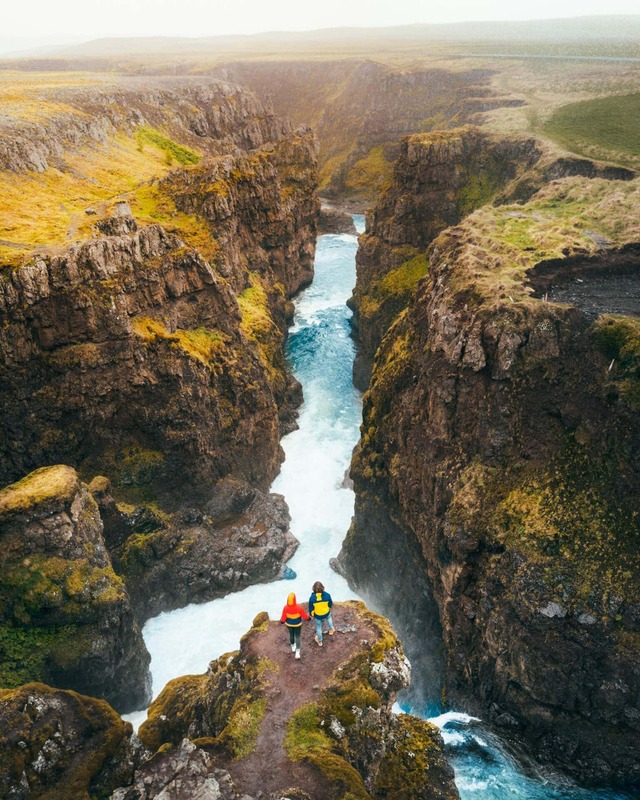 See the 11 things you must do in Iceland. 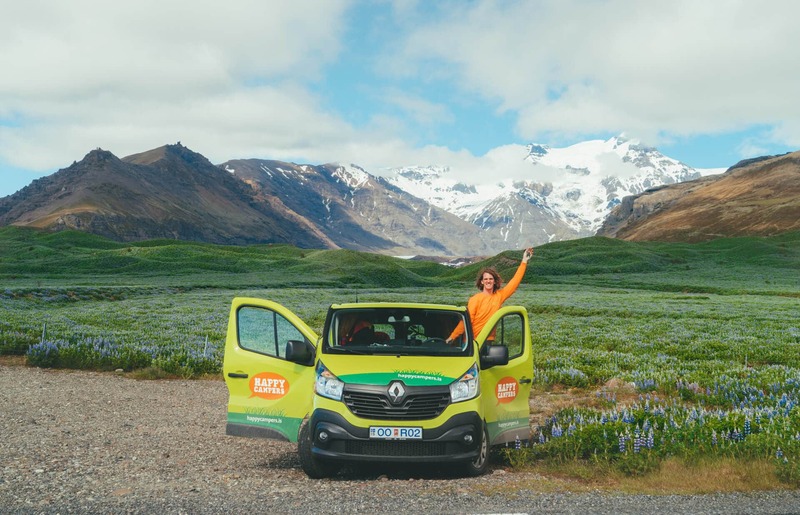 On the day of arrival pick up your rental campervan or car, be sure to know if its a gasoline or diesel car and do grocery shopping for the first 3 to 4 days. We drove a Happy Camper all around the country. 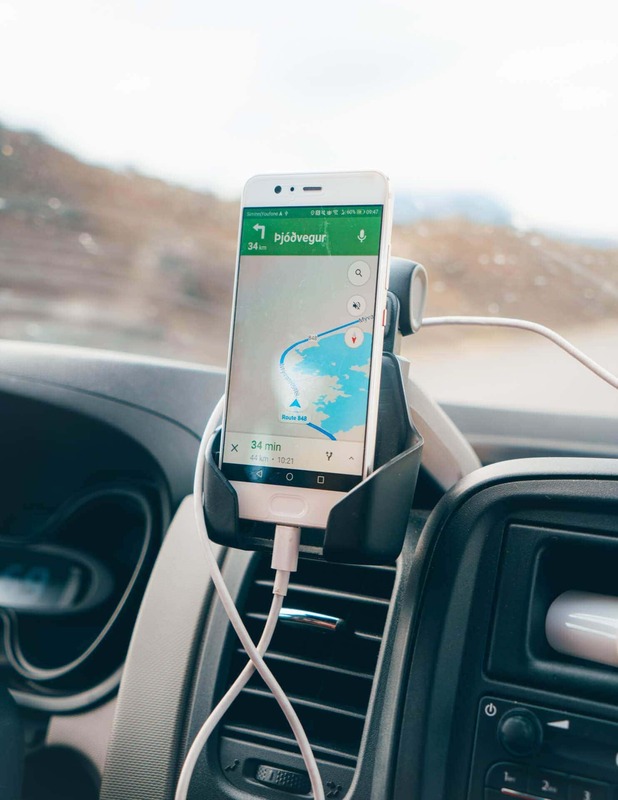 It’s not recommended to start driving on day one, get to know the car, your route, install the GPS, maybe even visit Reykjavik. Be well rested for the next few days of driving. Tip: Only drive on F-roads with a 4×4 car. You can see the road numbers on Google Maps. The next morning start the drive to Thingvellir National Park. It’s best to set ‘Öxarárfoss’ in the GPS. Iceland is divided by the North American and Eurasian tectonic plates. Thingvellir is the only place in the world where the this is clearly visible. There is a beautiful walking path in the area and a waterfall (Öxarárfoss). 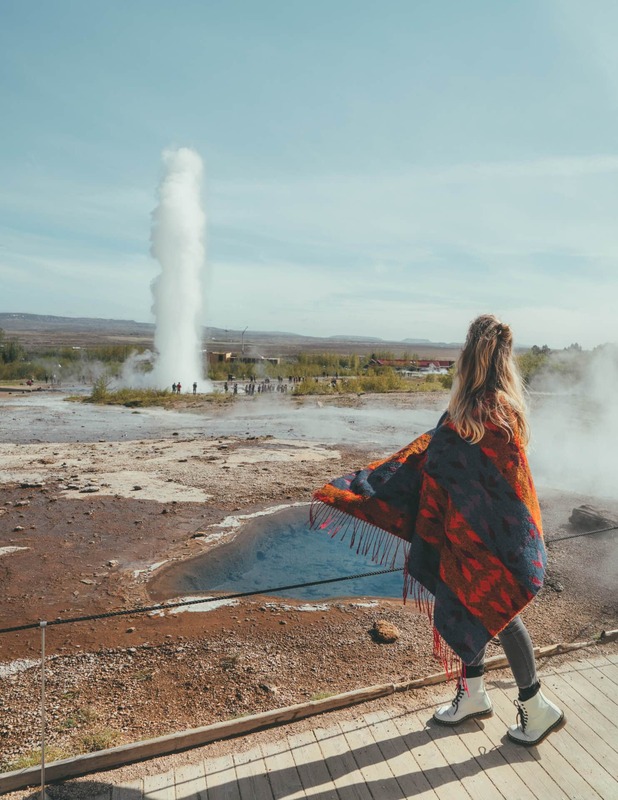 Follow your way to Geysir, a famous hot spring in the geothermal area shooting boiling water about 20 meters up into the air. This happens every 5 to 10 minutes. An absolute must-see! 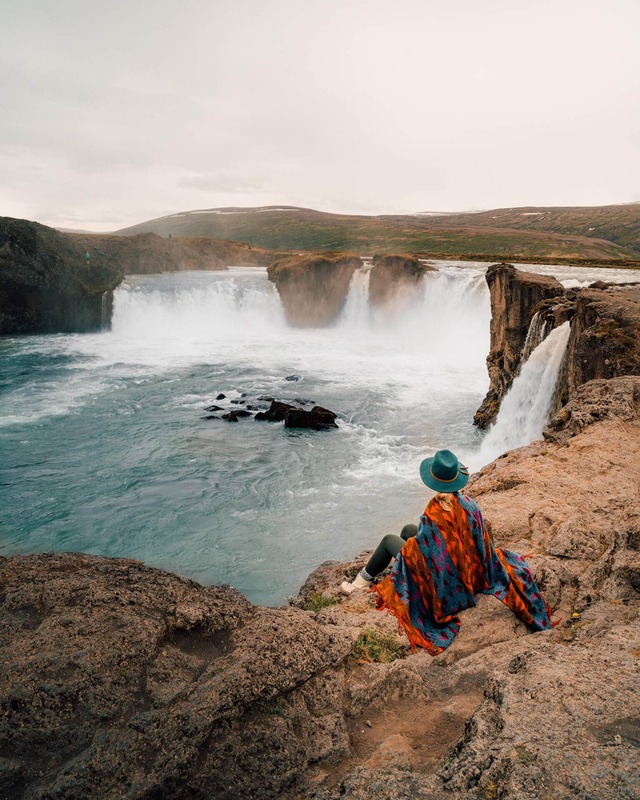 A 1-hour drive from Geysir is the powerful Gullfoss waterfall which has a two-level 70-meter high drop. Now it’s time to relax! Drive 30 minutes from Gullfoss to Hrunalaug Hot Springs. 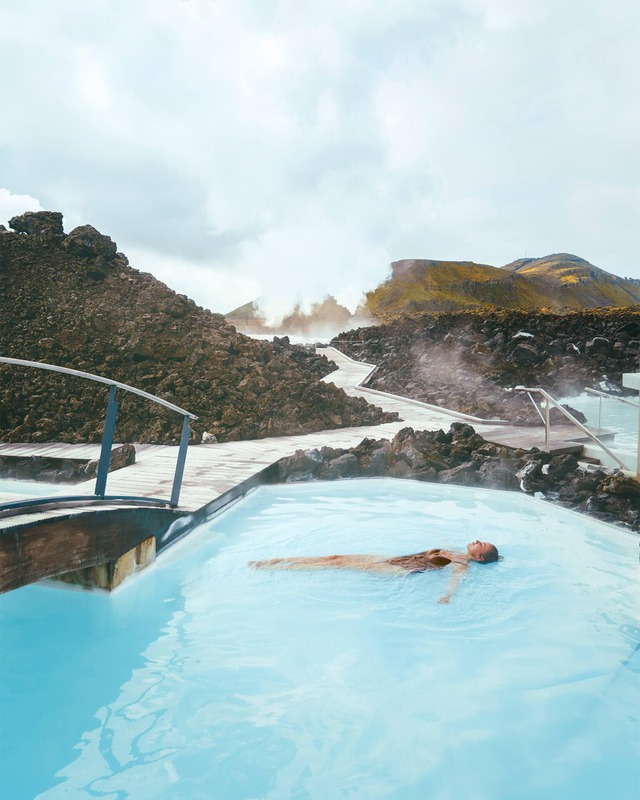 Our personal favorite of all the hot springs in Iceland. 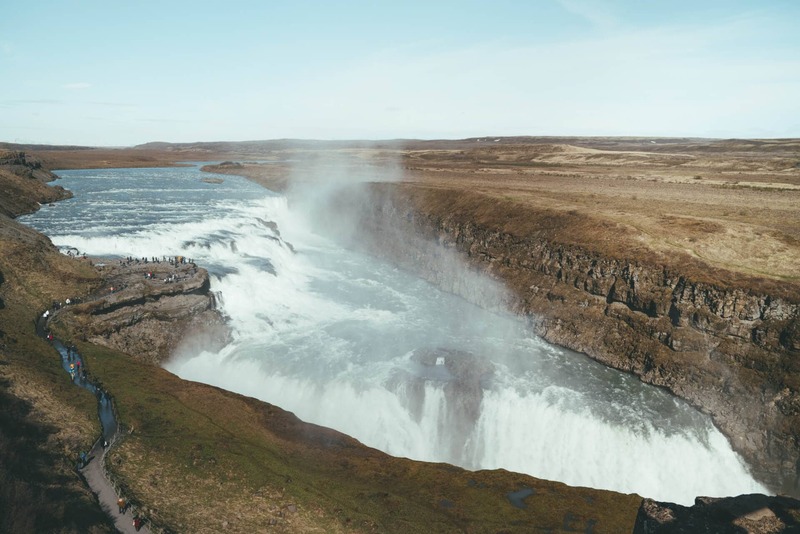 The last 70-minute drive is to the campsite at the Gljúfrafoss and Seljalandsfoss waterfall. The campsite is named Hamragarðar. Prepare your meal here and maybe even try to visit the Gljúfrafoss waterfall, which is hidden in between the rocks. 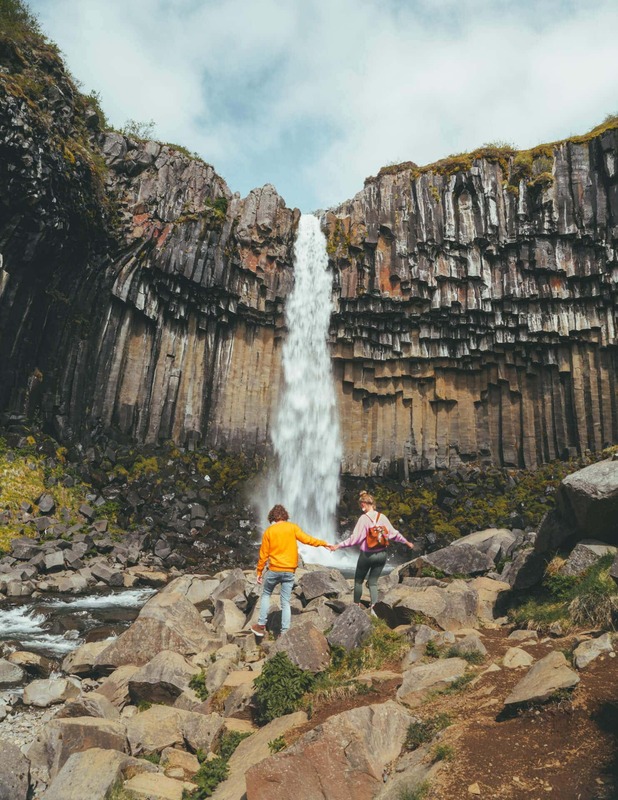 Get out of bed early and explore the Seljalandsfoss waterfall which is walking distance from the campsite. 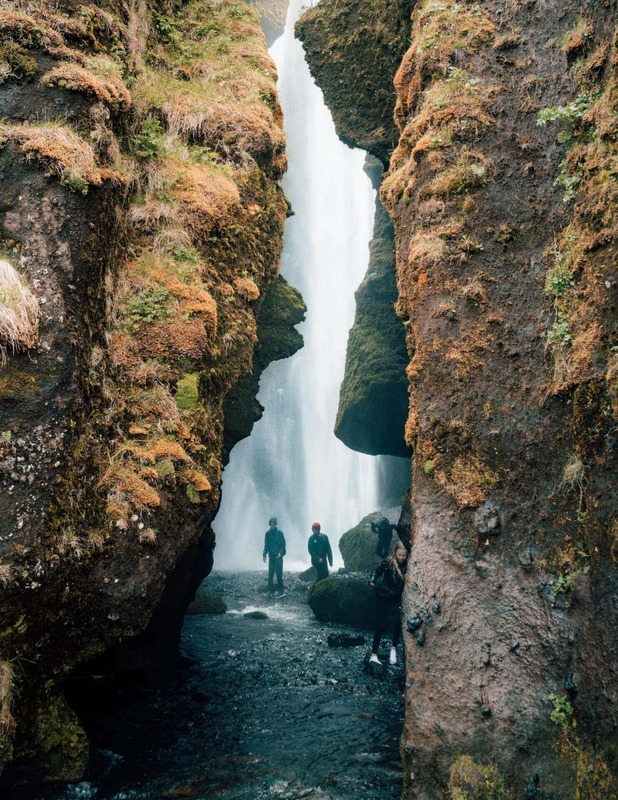 The waterfall can be visited from every angle which is quite unique in Iceland. Not far away is another beauty, the Skogafoss waterfall. This is one of the most beautiful waterfalls in Iceland. Close to Skogafoss is another fall: Kvernufoss. We haven’t visited it but read good stories. From the waterfall, drive all the way down to Vik and stop in between at the Solheimasandur Plane Wreck. There is a 4-kilometer walk is required to reach the sight. 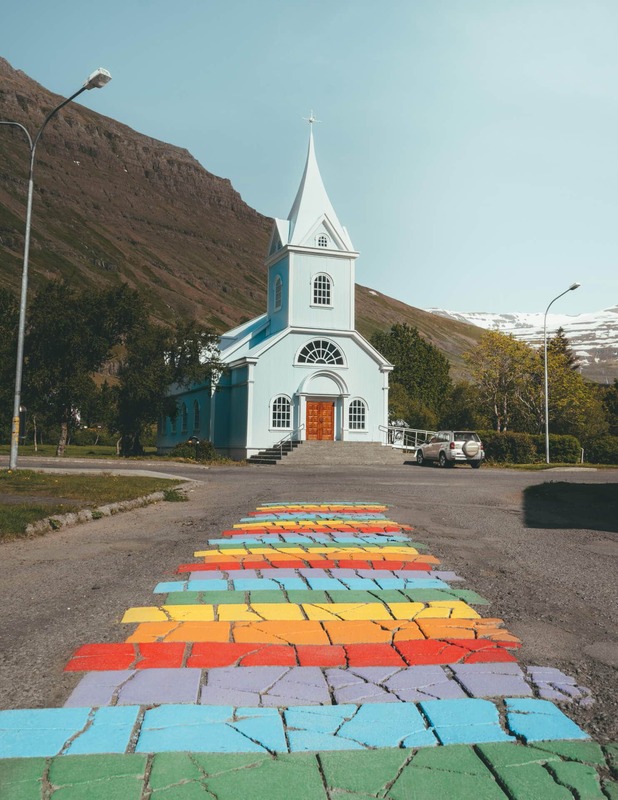 In the small town Vik you visit the beautifully located church and do some grocery shopping. 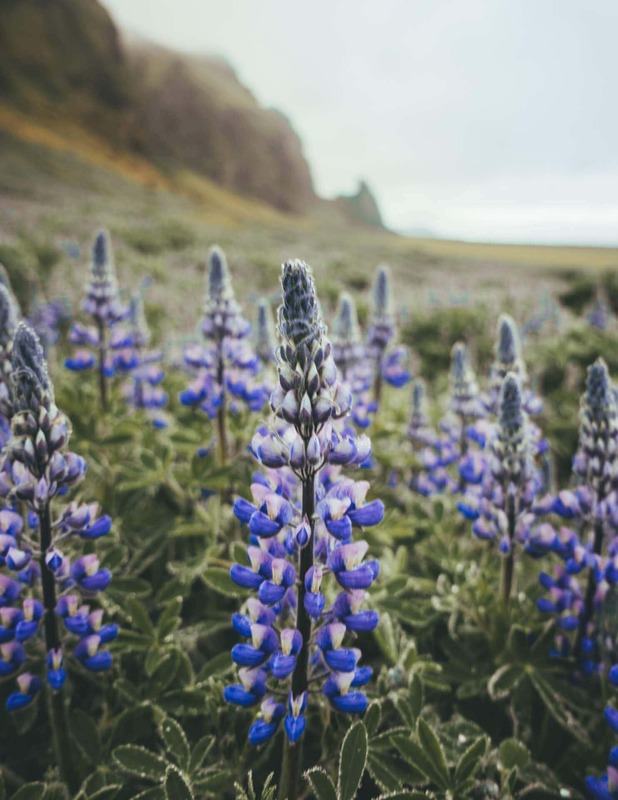 In June, the church is surrounded with purple lupine flowers. A new morning! After breakfast, drive about 15 minutes back to Dyrhólaey point where you see the arch and the black sanded beach. Why not yesterday? It’s quieter in the morning. The road to the viewpoint says it’s only for 4×4 but is easily doable with every car. 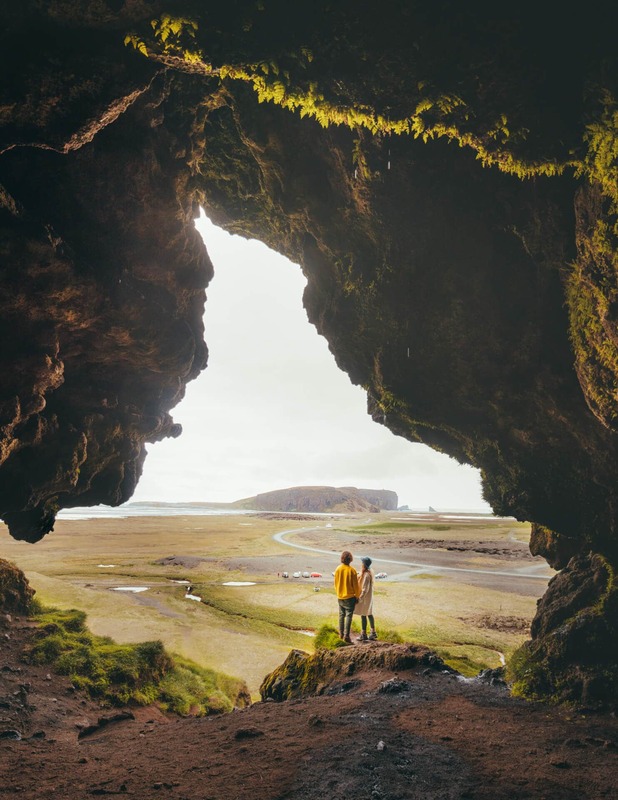 Also, don’t miss the nearby located Loftsalahellir Cave and rock formations at Reynisdrangar. The last stop is at Skaftafell. 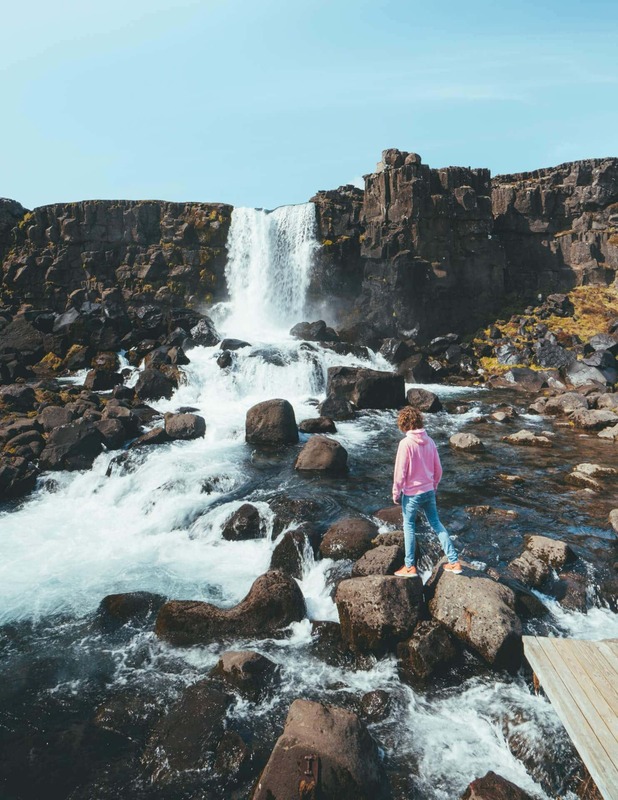 The area offers some great hiking paths and a few of them lead to the Svartifoss waterfall. All routes are explained on the sings in the park. Camp at the campsite provided at the Skaftafell park. Rise and shine early. Hope you slept well? Make sure the check all of our tips for camping in Iceland. Our first stop is Diamond Beach. 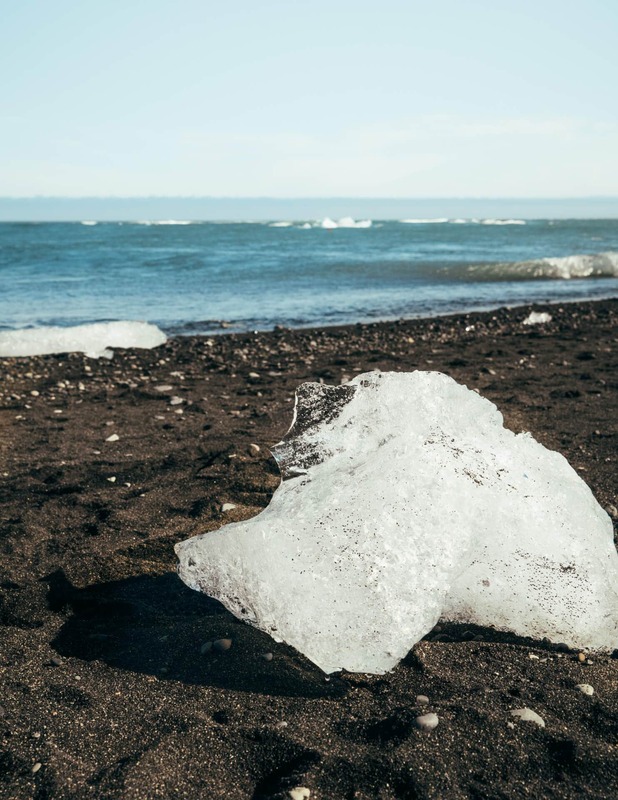 The black beach is filled with blocks of ice which have separated themselves from the glacier. 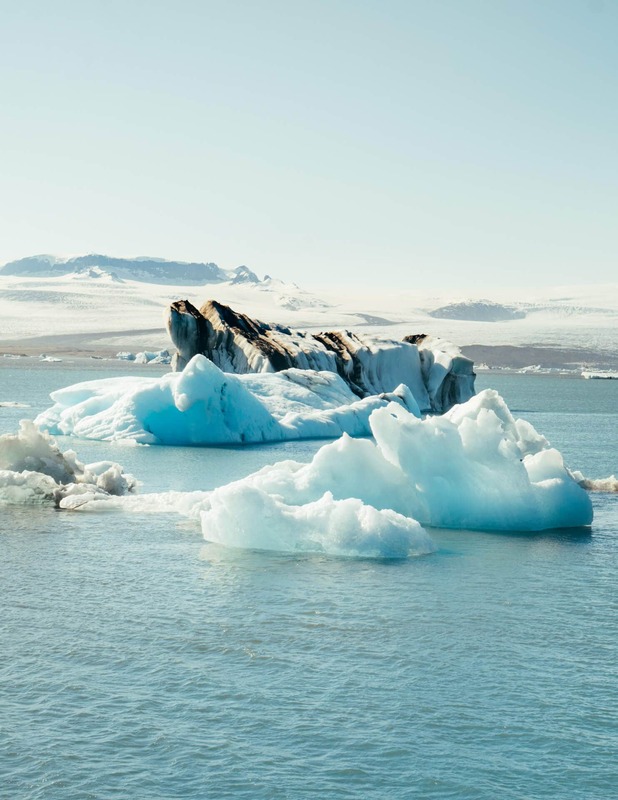 On the other side of the road is the enormous Jökursálón Glacier Lagoon where you can take a boat tour and sail among the massive icebergs. 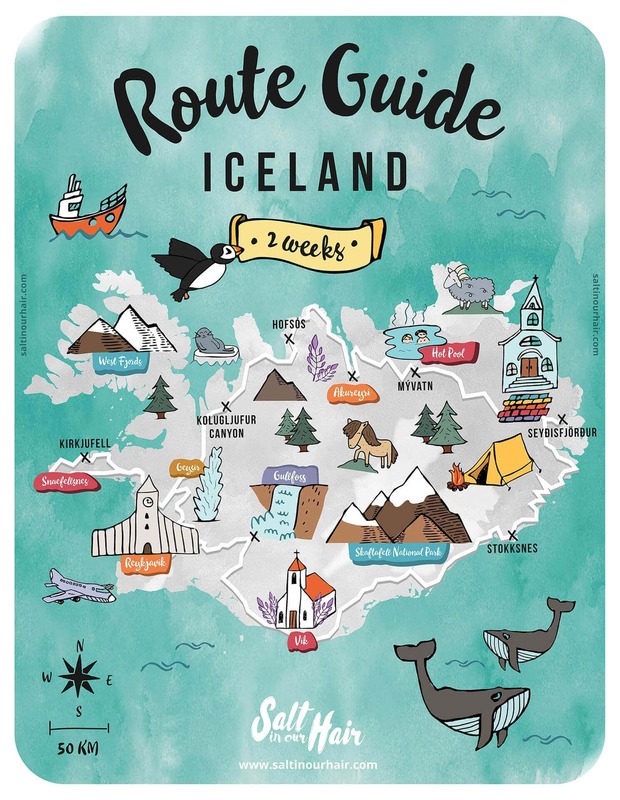 Tip: Planning an Iceland route in June? In between the campsite and Diamond beach is a massive field with purple Lupine flowers. Our final visit it to Vestrahorn in Stokksnes. 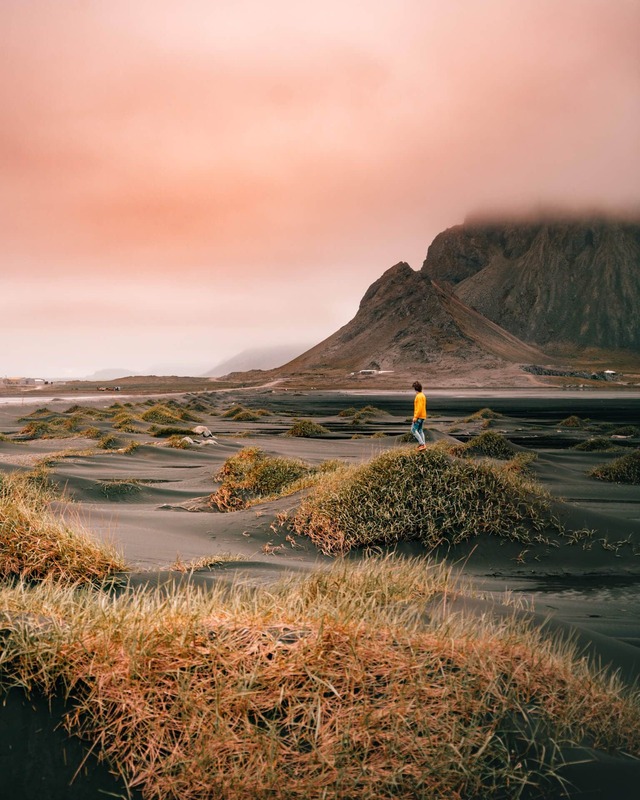 The picturesque flat lagoon and small black dunes display one of the most beautiful Icelandic landscapes. Spend the night at Höfn Campsite. You can sleep in today! The drive of today is towards the little art town Seydisfjordur. 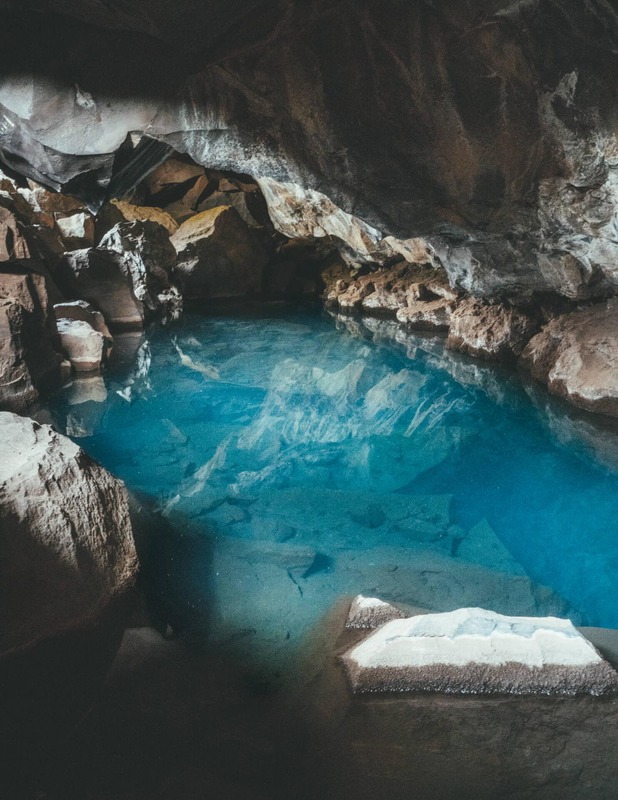 This is a true hidden gem in Iceland. The drive is a spectacular one along the huge coastline and snowy mountains. Make sure to only follow road 1 from Höfn to Egilsstaðir. Google maps will guide you to road 1 and 95. Ignore this so you won’t miss the great Útsýnispallur Grænafell viewpoint. 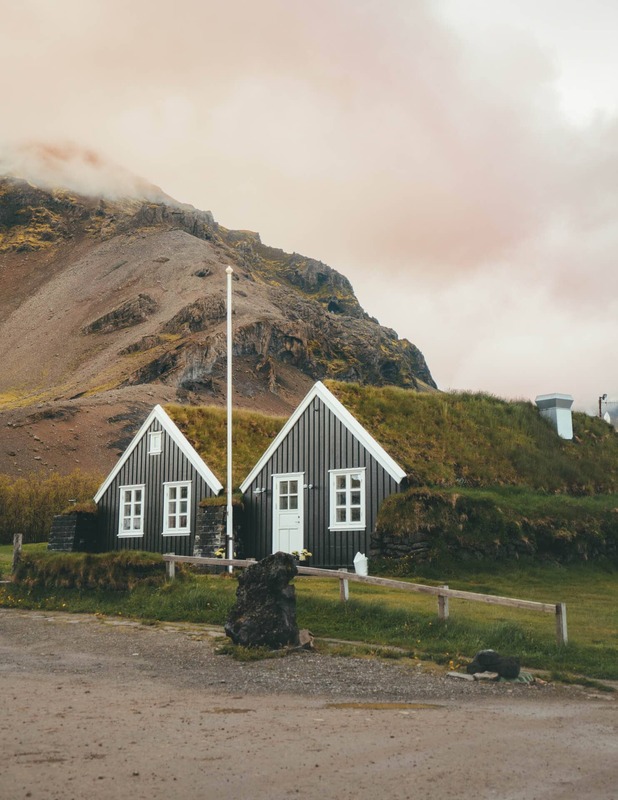 Wake up in the East Fjords at a beautifully located villages in Iceland. The Dettifoss waterfall is our next stop, Europe’s most powerful waterfall. From here, head over to Hverir, the smelly boiling mud area. Followed by the nearby located Grjótagjá Cave and end the day in the Myvatn thermal baths. 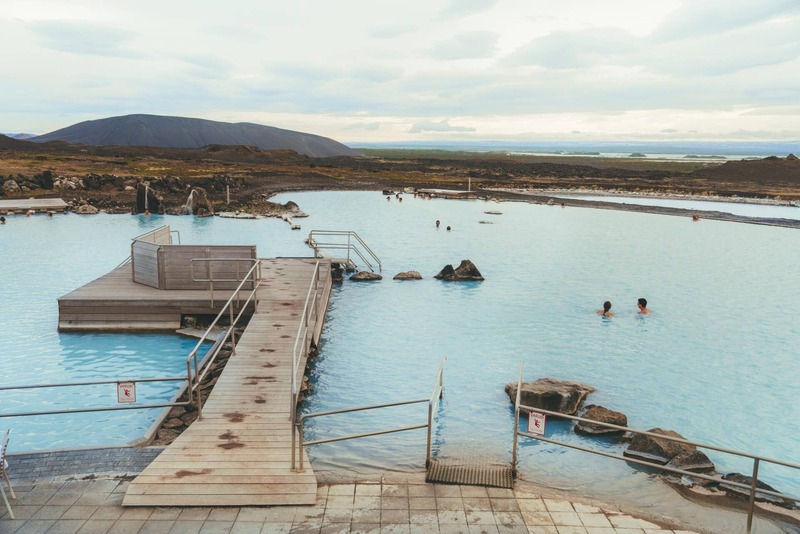 It belongs to one of the best hot springs in Iceland. Spend the night around the Myvatn lake at one of the many campsites. Today is a slow-paced day so you can have a little extra rest. First, drive to the Godafoss Waterfall. 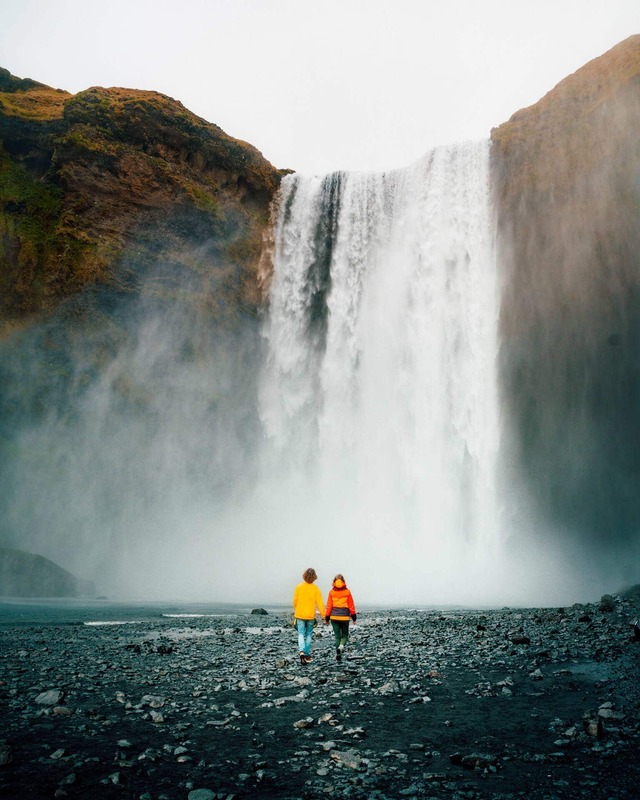 It’s easy to visit a great waterfall in Iceland. 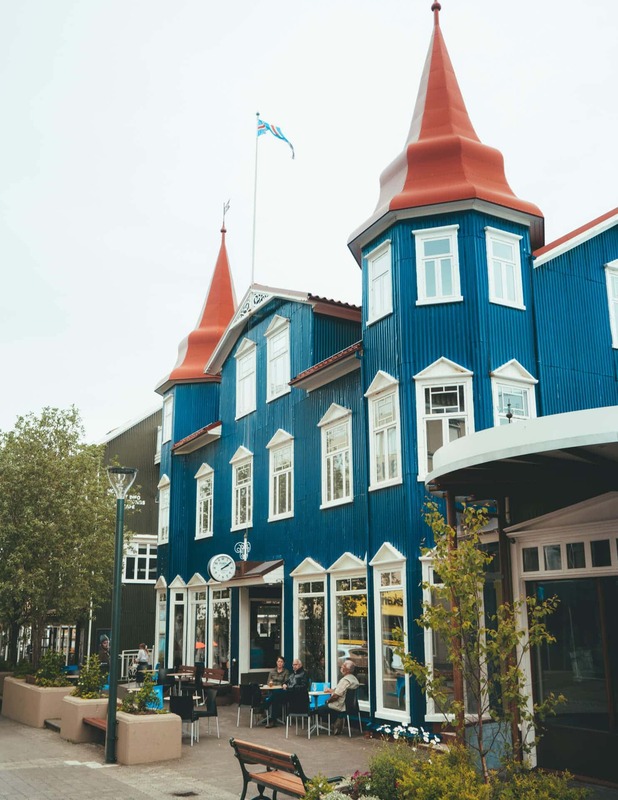 Second stop: Akureyri, the capital of North-Iceland. This city has loads of great restaurants, bars, and shops. Have a lunch here and wander around. If you’re out of supplies, visit a supermarket here. Now drive to the campsite for tonight, Hofsos. If you have the time or like a scenic route through older tunnels than drive via Siglufjörður. Highly recommend! Once you’re in Hofsos. 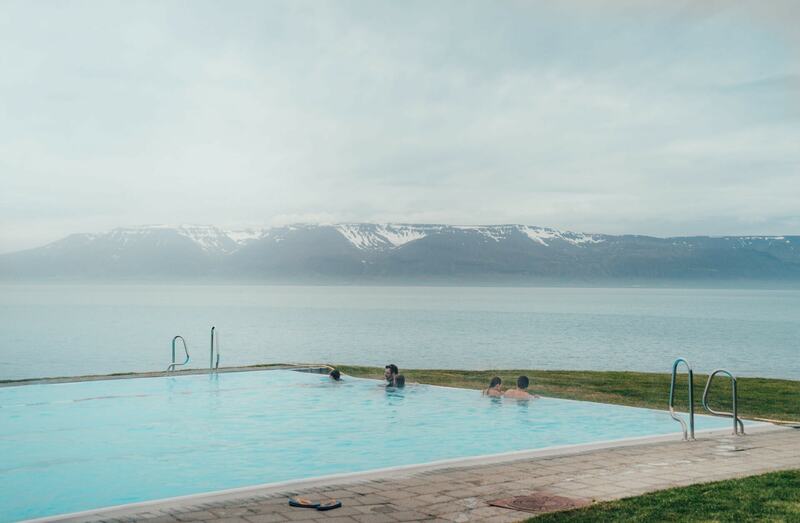 Fully relax in the local infinity pool, which is just a 3-minute walk from the campsite. Today we’re starting our trip towards the peninsula Snaefellsnes. First stop, Kolugljúfur Canyon! This gem is hidden just next to the main road. 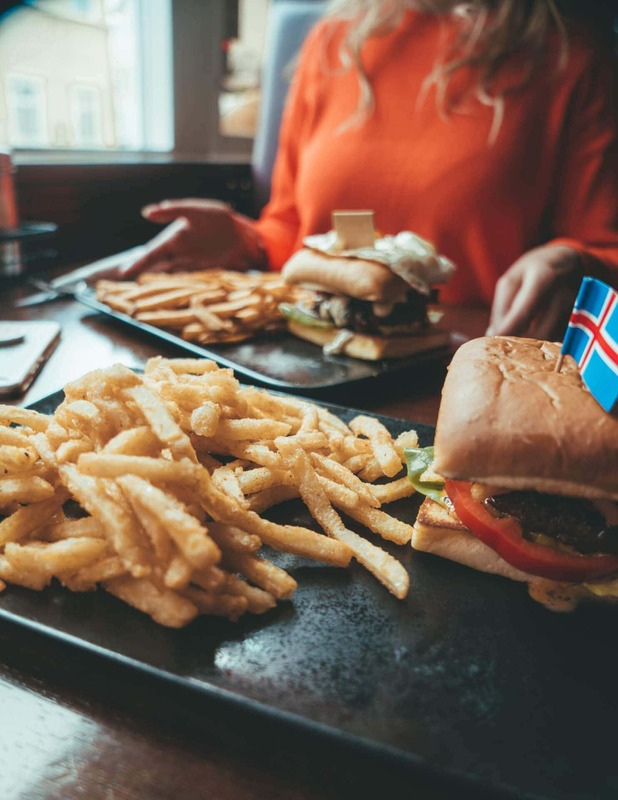 It belongs to the best things to do in Iceland. 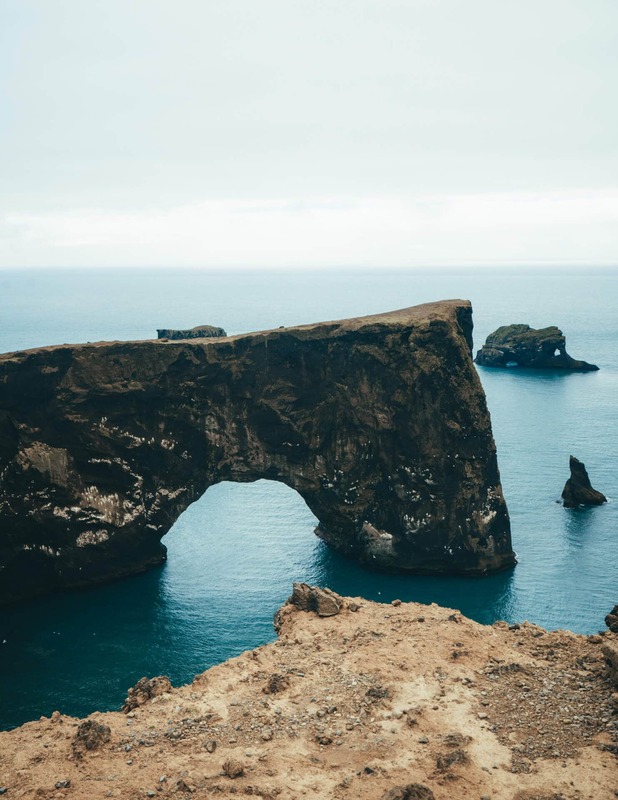 If you’re ready to see more, also visit Hvítserkur, a 15-meter high elephant shaped rock. From here it’s a 2-hour drive to the Borgarnes Campsite. Did you know: That there are 24 hours of sunlight between May and July? Read more about this in our Iceland Camping Guide. Today’s its all about exploring Snaefellsnes. 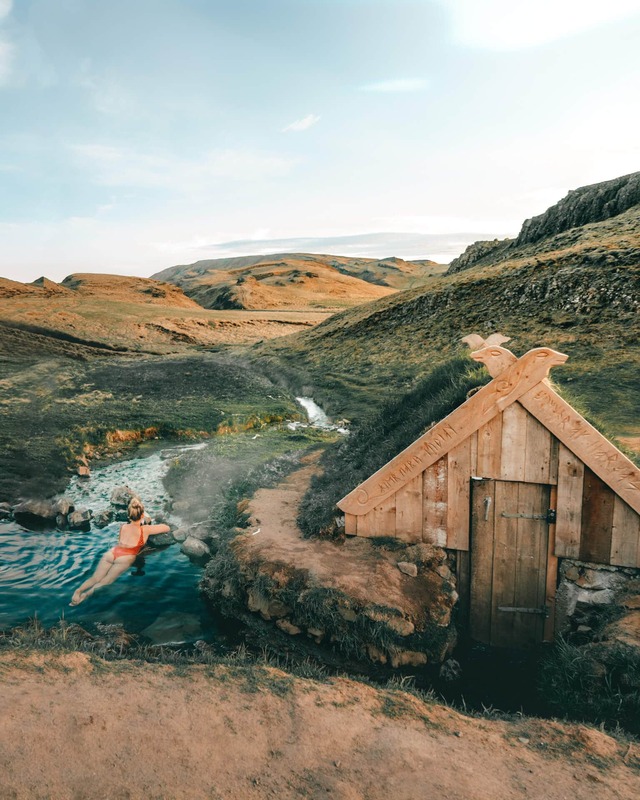 Take a bath in the Landbrotalaug Natural Hot Spring. Followed by black church, cliffs at Arnarstapi and Londrangar. 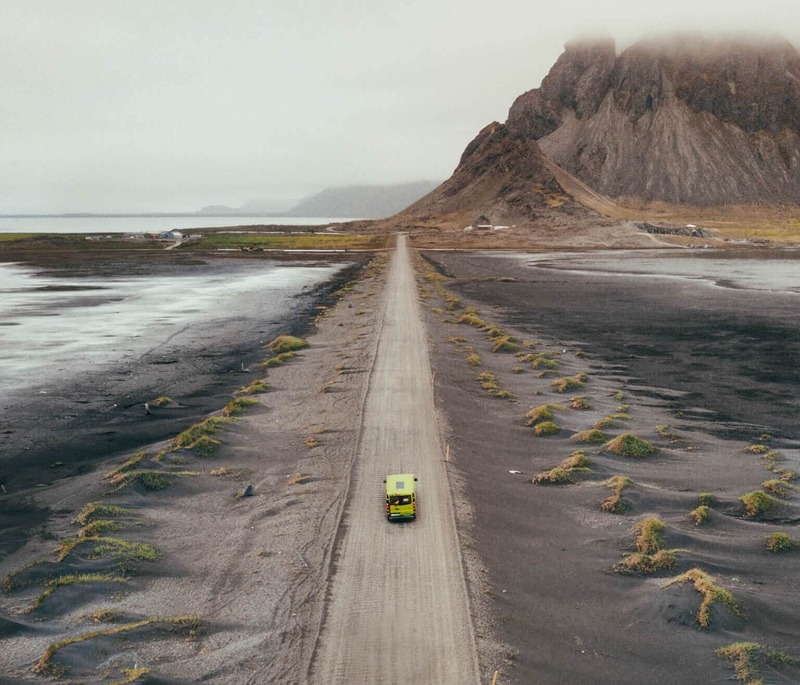 Drive around the tip of the peninsula through lava fields in Snaefellsjoekull National Park. 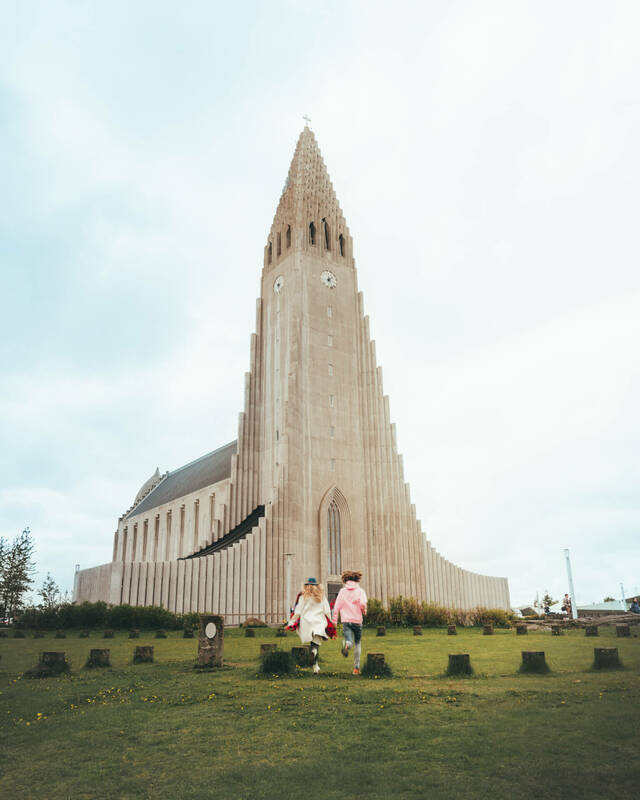 And don’t miss the last sight of the day, the most picturesque church in Iceland: Ingjaldshólskirkja. As campsite, we recommend Olafsvik campsite. It’s new and one of the best campings in Iceland. 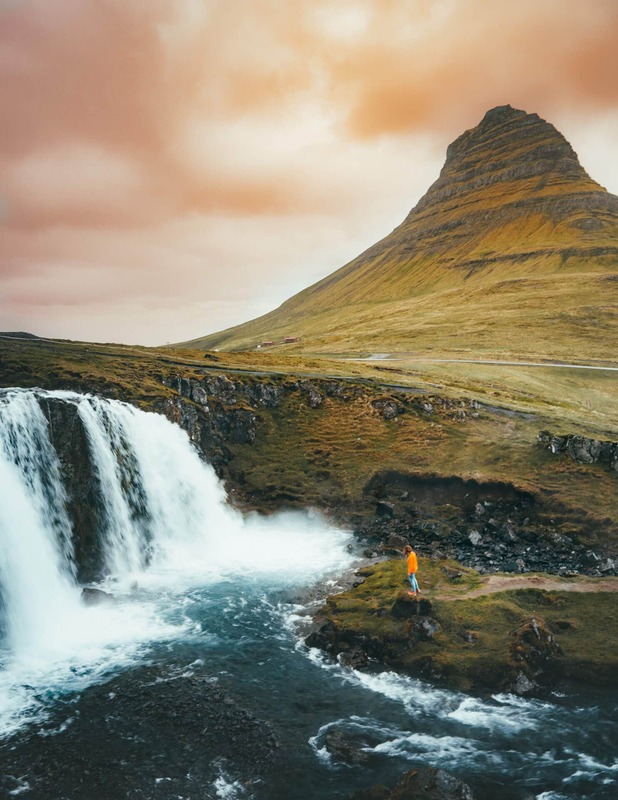 The next morning, don’t leave the peninsula without visiting Kirkjufell, one of Iceland’s most photographed spots. It’s best to visit it as early as possible or the night before (day 10) if you have good weather. The campsite is only 20 minutes away. 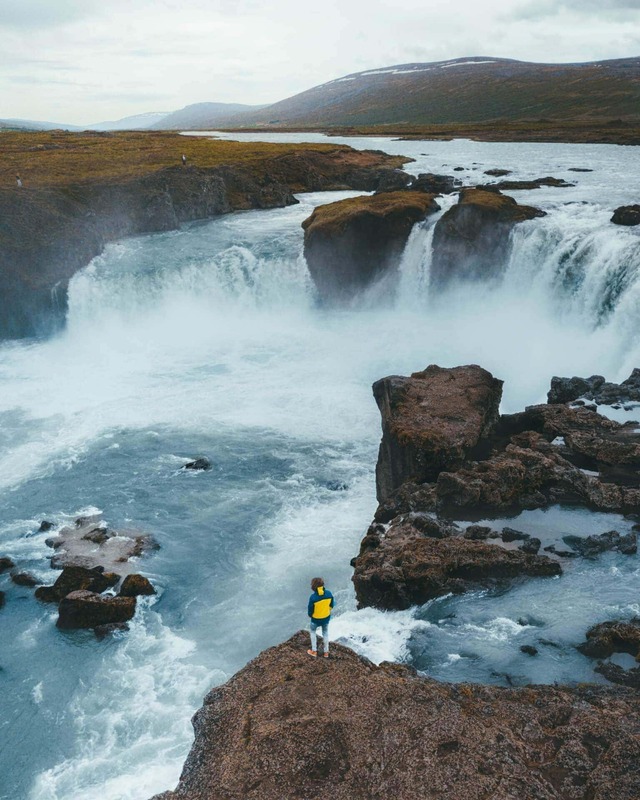 Today is the last day to admire the waterfalls in Iceland. Drive towards the Barnafoss and Hraunfossar who are next to each other. And last but not least, the Glymur waterfall, who is with its 198-meter drop the second highest waterfall in Iceland. There are quite a few campsites around but it’s best to spend the night at Kaffii Kjos campsite. 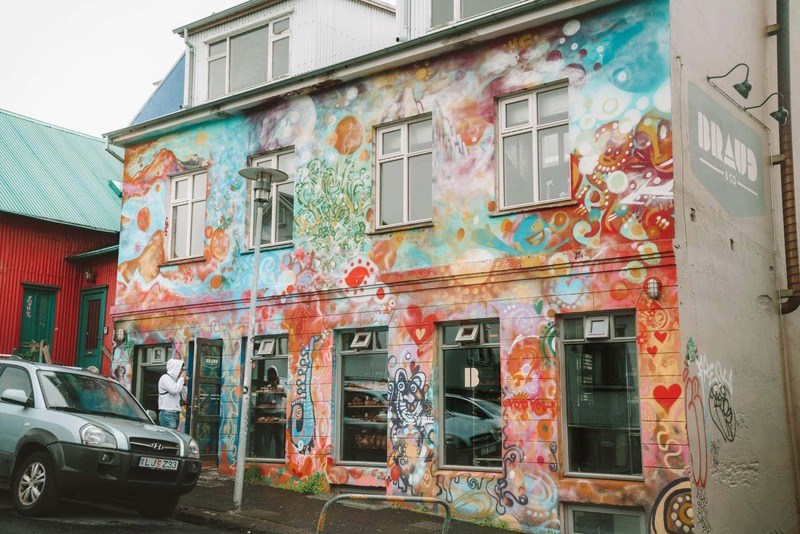 Ready to experience Reykjavik? 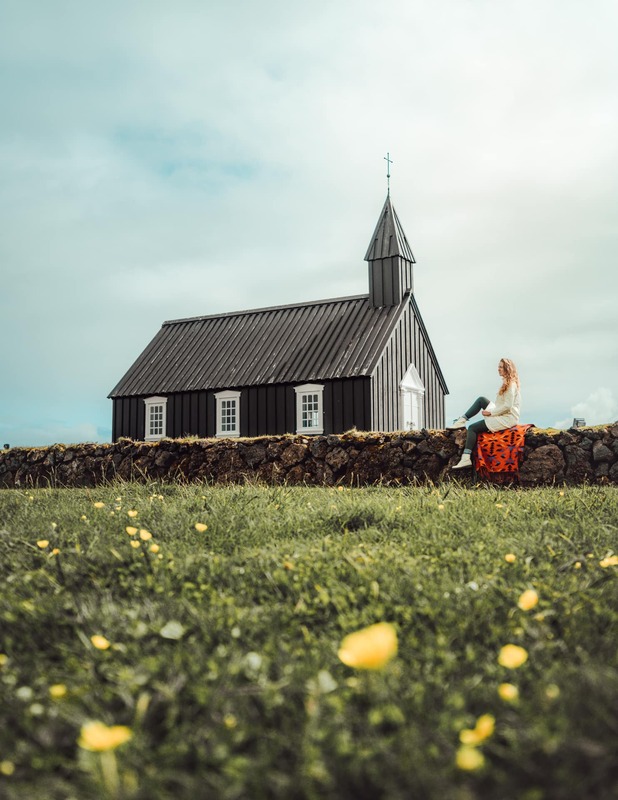 From the campsite, drive a small hour to Reykjavik and have a day of sightseeing with the Hallgrímskirkja church, shopping, colored houses and maybe treat yourself with a delicious dinner at a restaurant. Tip: Instead of staying in a hotel, go to the campsite just 8 minutes out of town. The next day, wake up and go to Braud & Co, the best bakery in town. Followed by a visit to the Blue Lagoon. Get here as early or late as possible to avoid the crowds. Fun fact: Did you know Golfing in a very popular sport in Iceland? Today is the day to return your campervan or rental car and maybe sleep near the airport so you’ll have a cheap shuttle. Day 14: See you next time in Iceland! In every new town, small or big, there is a gas station. Most of them equipped with a small supermarket. Camping in Iceland is easy and affordable. We recommend hiring a campervan like we did at HappyCampers and drive your tiny home all over the country. 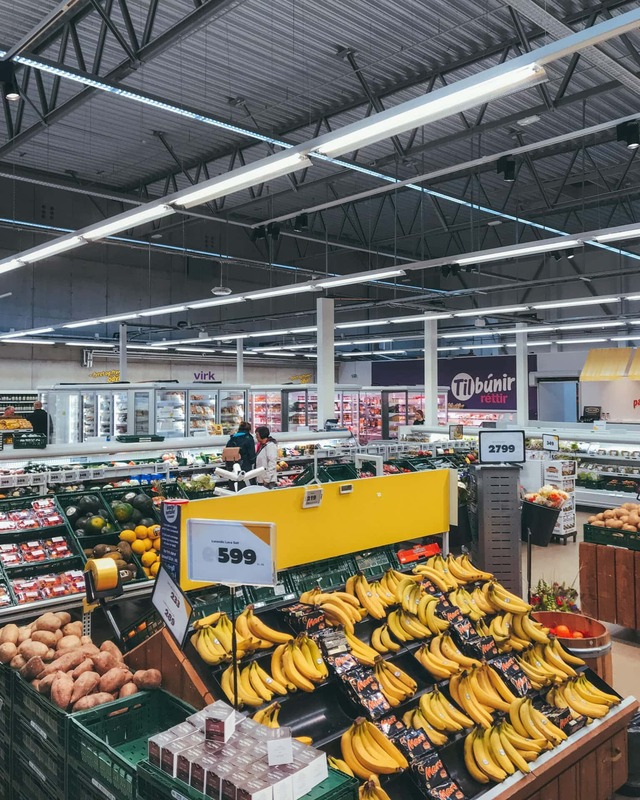 Around the country, you will find supermarkets like Bonus and Kronan who are selling all the groceries you’re used to. Drinking water is free and drinkable from the tap in Iceland! 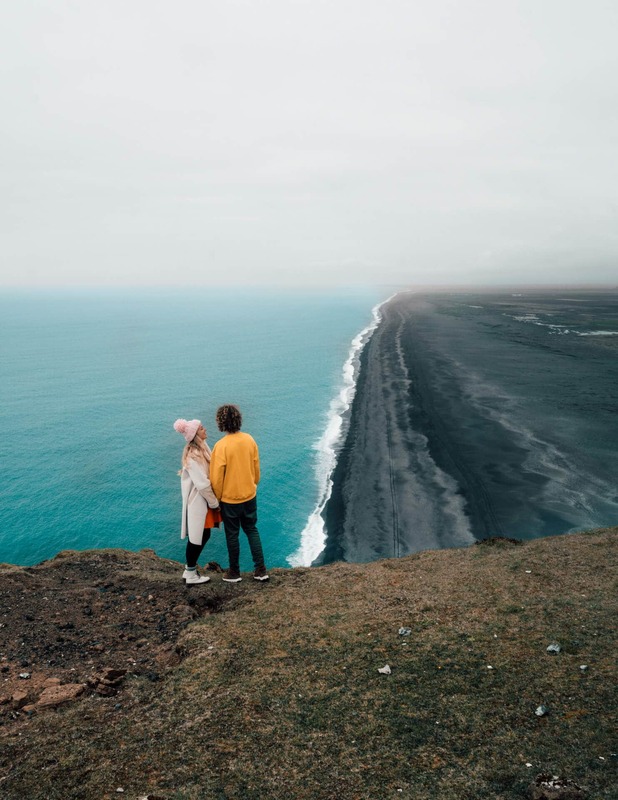 Iceland is not cheap to travel but can be done on a certain budget. 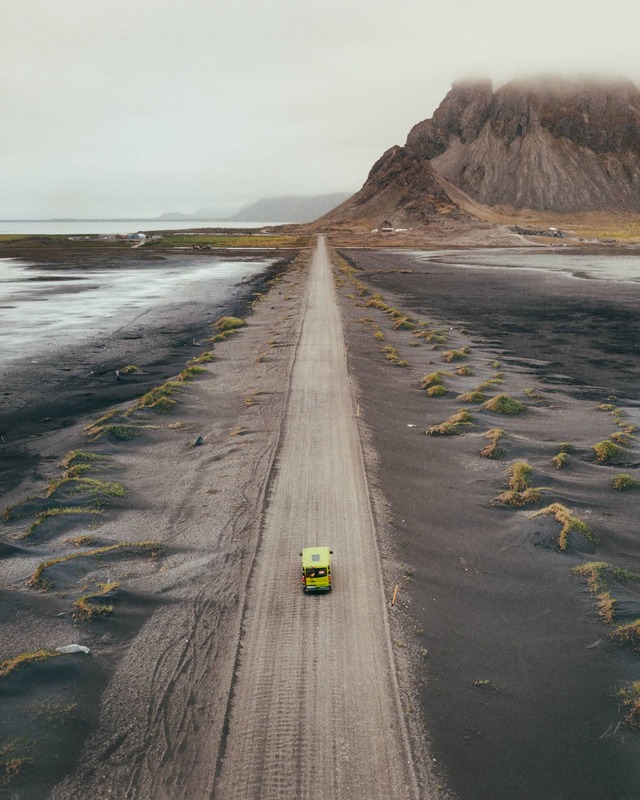 In 13 days we spend 6100 USD (two persons) including two nights (arrival and departure) in the Base Hotel near the airport and tickets to Myvatn Baths and Blue Lagoon. Excluding flight tickets. 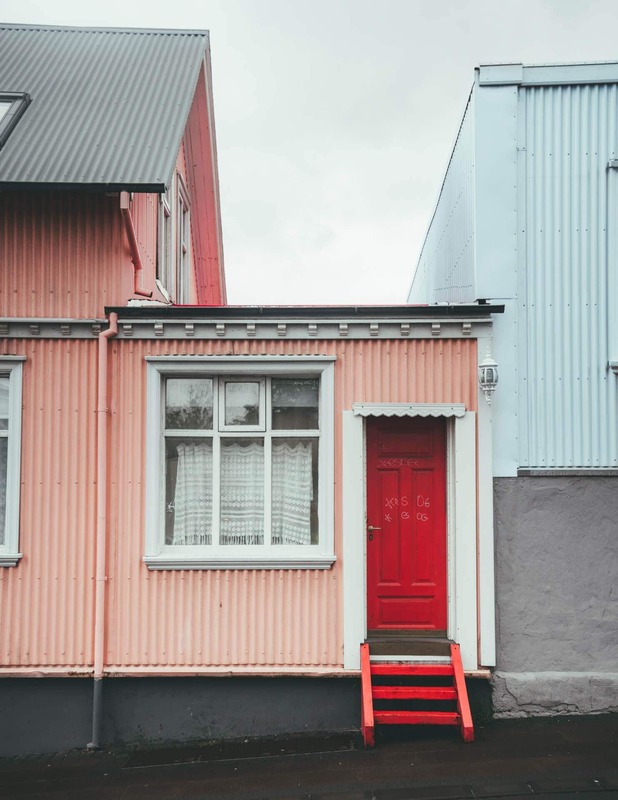 There are a few good tricks to save a lot of money and travel on a budget in Iceland. Prepare pasta or rice only with vegetables and sauce. Meat in Iceland is expensive. 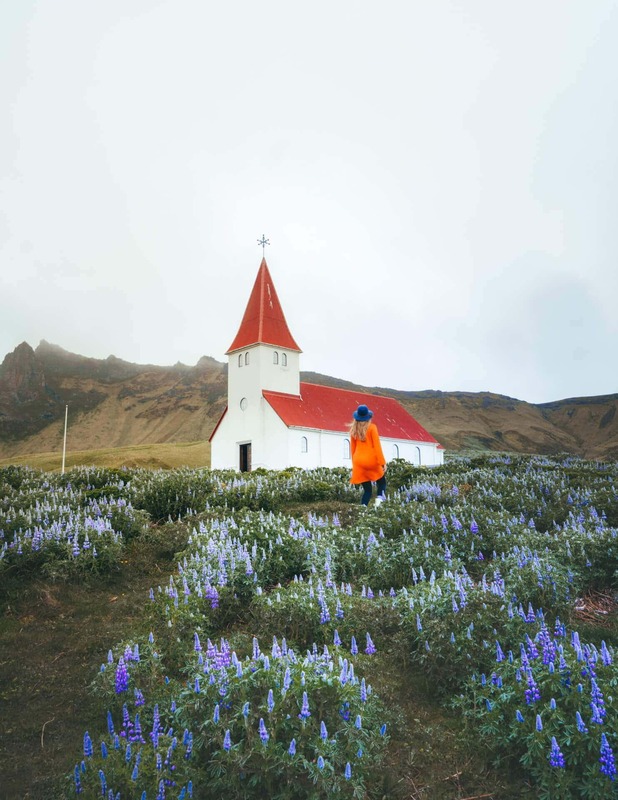 July to August are Iceland’s warmest months and almost the most popular time to visit Iceland. Keep in mind that in those months you don’t have the northern lights because of the 24-hours of daylight. May and September are best all round to avoid the mass visitors and still have the chance for good weather.